Working in retail in today’s world is like being thrown into an inferno, especially if you are unprepared to compete with larger, savvier retailers. With large retailers swallowing up the small guy, those starting their retail stores have to really put in the work to not only attract business but to retain the interest of the consumer. Even with the shiny, new tech tools that can be used to make the sale, retail is a monster in the modern business world. At the core of retail is merchandising and showing the values embodied in your brand. Getting the word out regarding your brand requires teams to make a concerted effort to create a campaign that reaches the whole community and your target demographic. Today, we would refer to it as part of what is called branding, but really to increase sales, retailers have to reach out to the public and engage in a memorable way, whether that is online or in person. 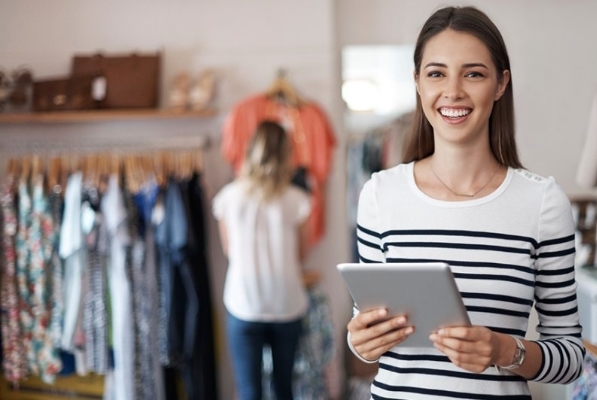 Continue reading to learn about some of the various ways you can increase retail sales and take your store to the next level. One of the major dilemmas many retail store owners face is finding a place for their shop. A high-traffic area is always a plus but finding a place where you can draw from the population who would really appreciate your store is a little more difficult until many seasons after your store has opened. However, with a pop-up shop, retailers who are unsure of whether a location will work can test out areas without any real commitment. A pop-up shop is a small, portable store that allows retailers to stay in one area temporarily to see if there is any business. The plus side is that these shops are a little more inexpensive to manage than a storefront, and they can be placed on boardwalks, near popular entertainment areas, like festivals and markets, or in retail districts. Use these shops to scope out new areas and to expose customers to your product. Depending on the product, consider providing the community with free samples or demonstrations. Invite the community into your establishment and share with them more about the store and the products you carry. In fact, holding an open house to the community is one way to introduce your product to the public. Any opportunity you have to introduce your product or store to the community is an opportunity to engage consumers, whether it means setting up at an outdoor market, convention or other community events. Another great way to get the word out about your shop is to join efforts with a complimentary business who is already established in the area. For example, if you own a chocolate shop, connect with a vintner, as nothing makes a greater pairing than wine and chocolate. Customers will not only enjoy tasting the many different chocolates your store has to offer, but they also can be introduced to some really good dessert wines in the process. The whole point is to connect with businesses for a short venture that can bring exposure to your store while at the same time creating other opportunities in the community. Today is the day of technology, and for many retailers who provide consumers with the option to shop online, the internet makes shopping very convenient. However, the internet can also be a great place to get the word out on your product and store and to measure your customers’ response to your product or service. Social media, for example, is one of the premier ways to advertise a product and to connect with the demographic your store serves. Today’s customer is an increasingly consumer-savvy individual. He/she will have shopped online and in a few other stores before looking for the same product in your store. Smart retailers, though, can employ a few old methods and a number of new ones to create the traction that translates into sales. Remember to be creative and do what you can to ensure that your advertising is memorable as nowadays, more than ever, you need to stand out from the crowd in the world of retail.